Camellia Mountain in Old Shizutani School. 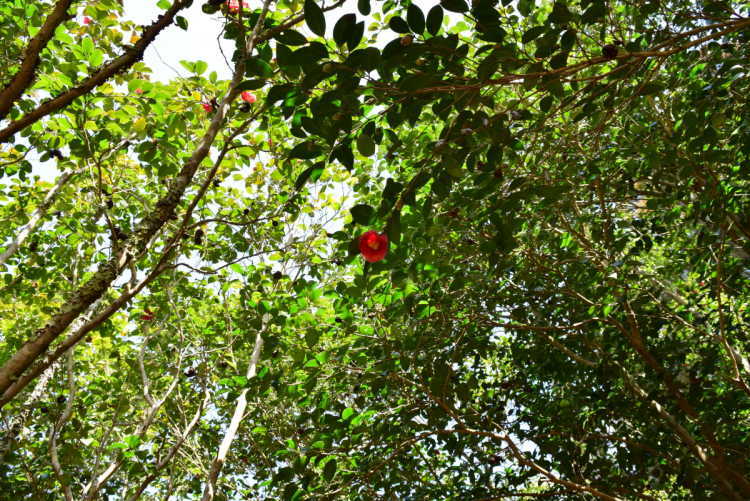 About 400 camellia trees make a green tunnel wrapped in a sacred atmosphere. Now, spring is coming, some flowers has began to bloom here and there. 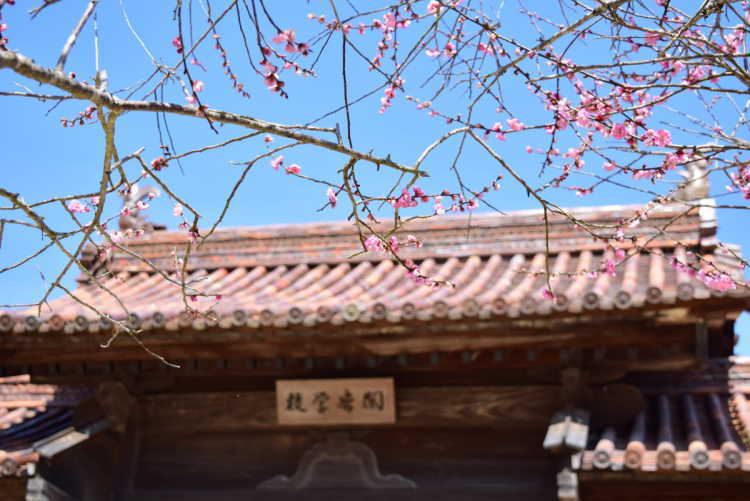 The cherry blossom around a museum of Old Shizutani School, is now at it's best. 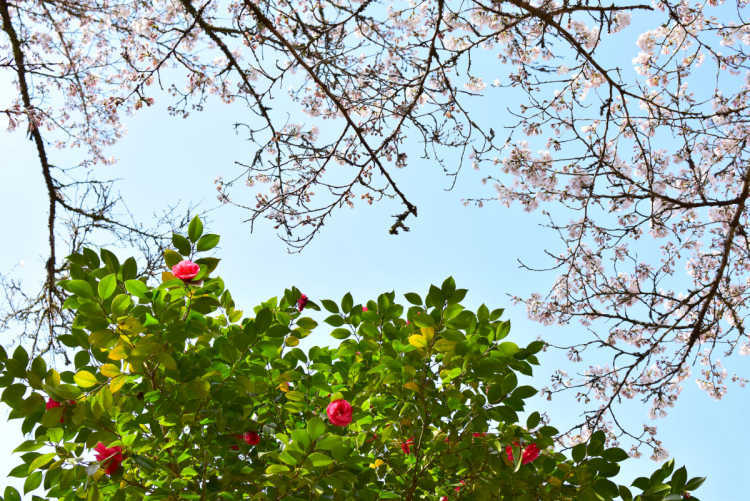 Now, we can see the collaboration of cherry blossom and Japonica flowers. Opened in the early Edo era, the old Shizutani School is designated as a special historic site. 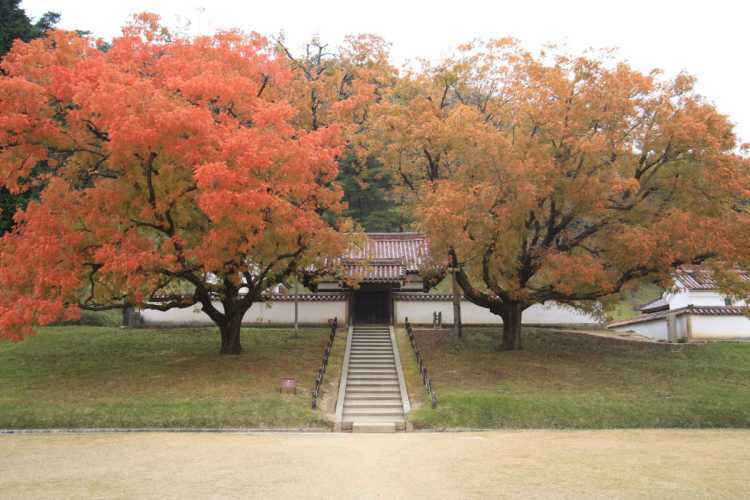 In autumn, two huge trees show the beautiful colors of red and yellow.